Analytics are rapidly rising in the chain of importance for businesses. With the amount of information that businesses receive on a daily basis they have no choice but to leverage a powerful analytics solution to keep their performance on track and their consumers happy. 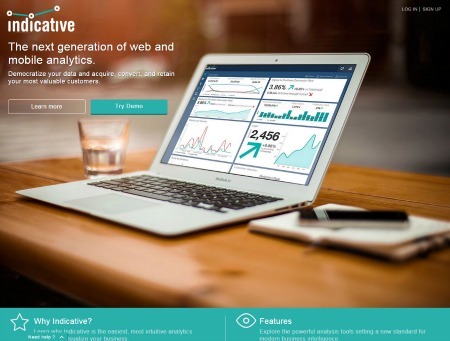 Indicative, a young and growing business, announced the release of their new real-time mobile and Web analytics platform for businesses. One of the features the young platform contains that may make it more enticing option is its drag-and-drop user interface. This feature allows businesses to quickly and easily add or subtract any metric they want without having to enter any complicated code. Another interesting feature for businesses may find as a compelling reason to leverage the platform is its segmentation capabilities. Indicative’s segmentation capabilities allow businesses to dive into any metric they choose without having to enter SQL or Excel data.